Journey To Imagination by Kelvin Kettle is a lovely collection of stories. Why are Shanglin, King of the Grizzlies, and a rabbit named Sucker Patch enemies? See what happens to five guys as they try to prove if the legend of the mythical statue is real. Go undercover with Autumn when she spies on her neighbour she suspects is a witch. Jason always wanted to be a superhero, but can he handle the attention when his wish comes true? Would you freak out if someone predicts the future and warns you? That’s what Robert did when a girl that no one can see, only Robert, tells him about the danger lurking. Where did the mysterious black egg come from? These are what a few of the delightful stories are about in this collection. One really takes a Journey To Imagination when reading these very short stories by Kelvin Kettle. He shows how flexible his creativity can be, as the plots are uniquely different from each other, making me more curious about the rest of the book. I find them filled with suspense, and love the humour and mystique that they have. Two of my favourite ones are Shanglin Forest and Amanda. 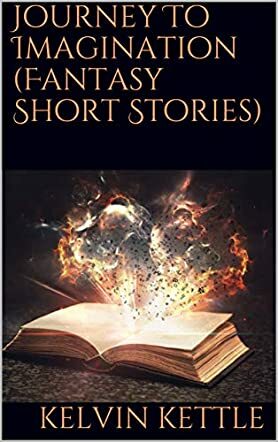 The book contains ten short stories that will grab the reader’s attention and keep it to the very end. It is well developed with strong characters and good drama and dialogue. If you’re looking for something interesting but quick to read, then I suggest this as an ideal choice. Thank you very much for your review, Michelle. I'm glad you enjoyed it.